To help keep that blog mentality going, it’s time to reflect a few key things I did this week. Starting off with this lovely ATM, in which it’s going to be used for a photo-real CGI scene. 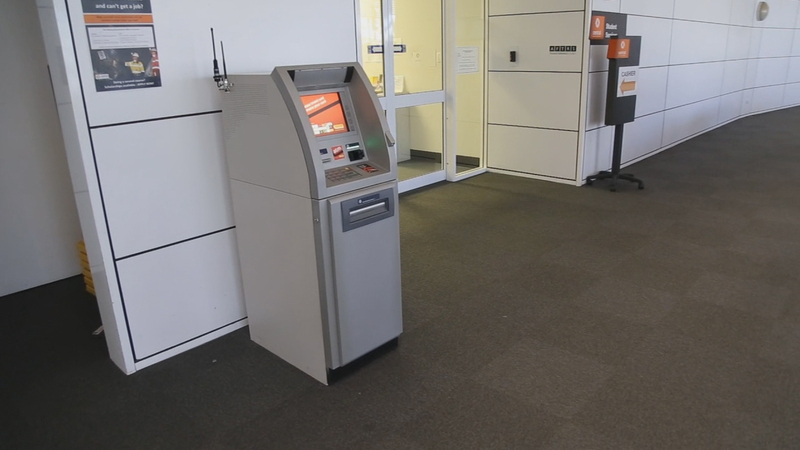 The goal is to remove the original ATM from filmed footage and replace it with a mesh replica, also adding a bit off animation to keep the footage interesting. 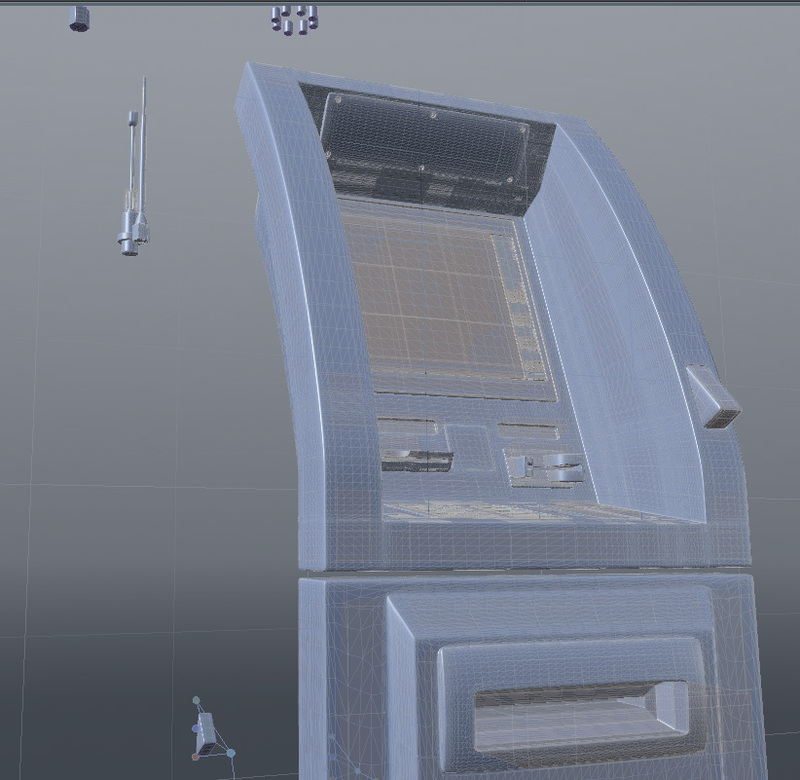 What I’m planning to do for my scene is to have the side panels of the ATM collapse revealing someone inside it. 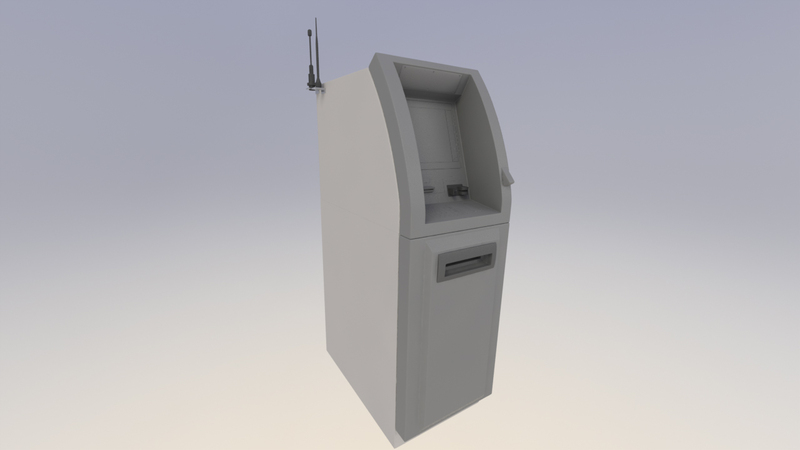 Currently I had modeled a high poly of the ATM using modo and meshfusion to make the cuts I needed and already baked the details to a lower res mesh. I only needed to UV unwrap the display panel and the buttons around it considering it’s the only part with decals and detail. Just need to add a bit of decals and apply some materials, then I could work on integrating into the scene. For one of our 3D Character courses. 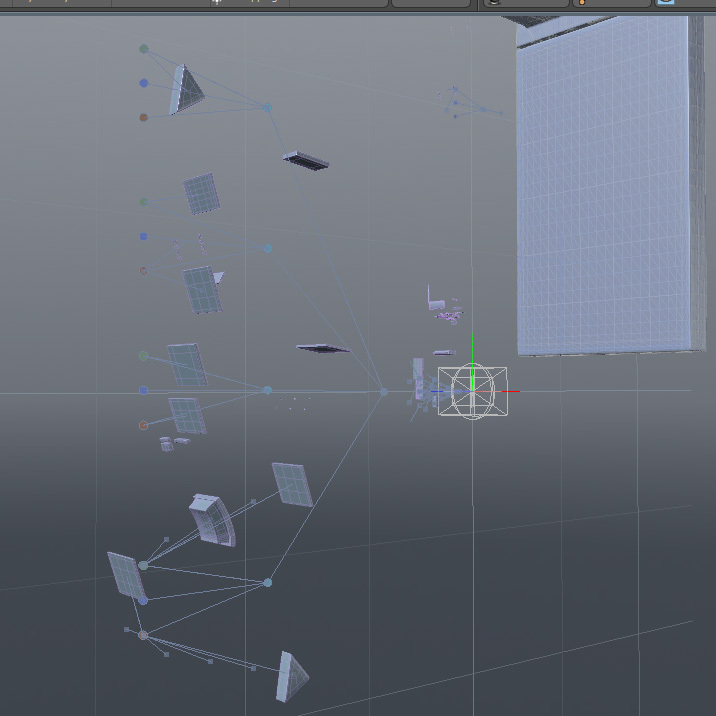 we had to design, model, rig and animate a character riding a four-legged creature, it can be anything. 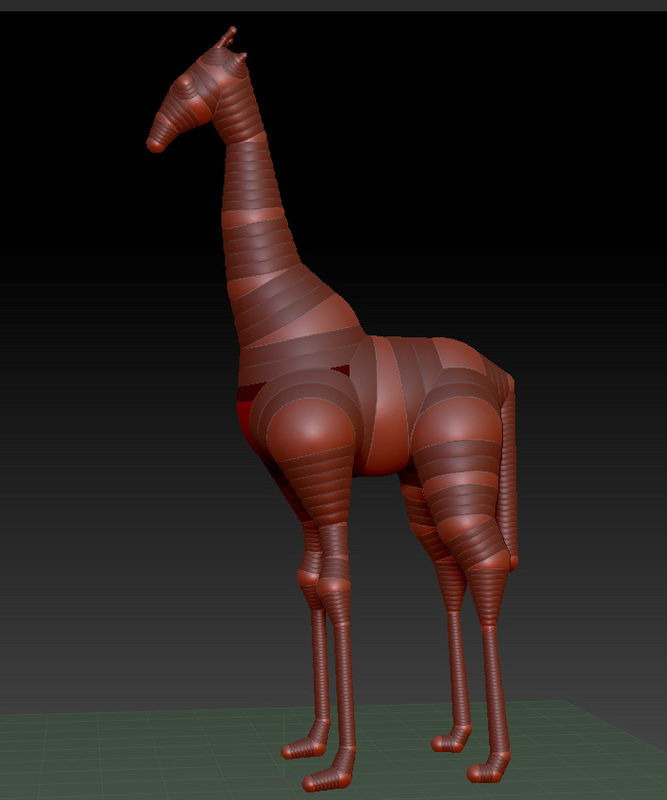 My Approach is going to be a war giraffe being ridden by someone who is really pompous or from royalty (Victorian era maybe). 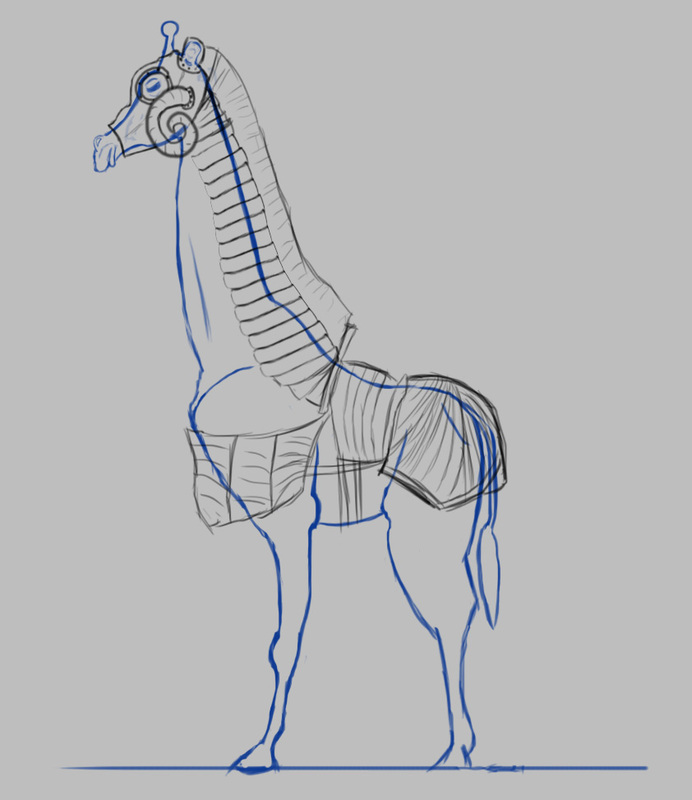 This is just a sketch to base some idea of what the giraffe would be and what it could look with armor on. 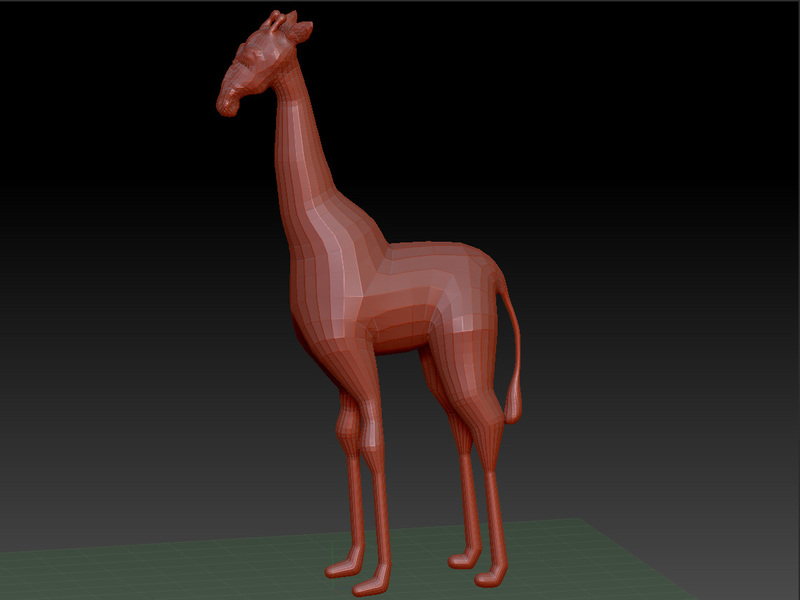 For the modeling part, I’m going to try to use zbrush considering a barely know how to use it and it would be great practice to start work on the giraffe before i start sculpting complicated human characters.